Little Britain: Photographer Paul Stephens Creates a Miniature World from The Telegraph. These are quite neat looking! Slide show of his pics. This one is too cute! Can only link to Flickr though. By Susannegipson - Too Cute! Something you don't think about but there seem to be a lot of it - Coquettish Murals of Tehran by Reza. 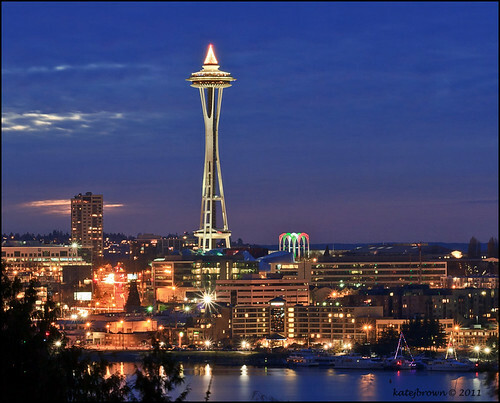 Seattle's Space Needle by Kate. Sine great lighting and colors!